The leaves of a healthy calla lily are a deep, rich green. If your houseplant or garden list includes calla lily, yellowing leaves can be a sign that something is wrong with your plant. A calla lily turning yellow can be an indication of a number of problems, but most of them are easily fixed. Learn why calla lily leaves turn yellow, and more importantly, what to do about it to save your callas. 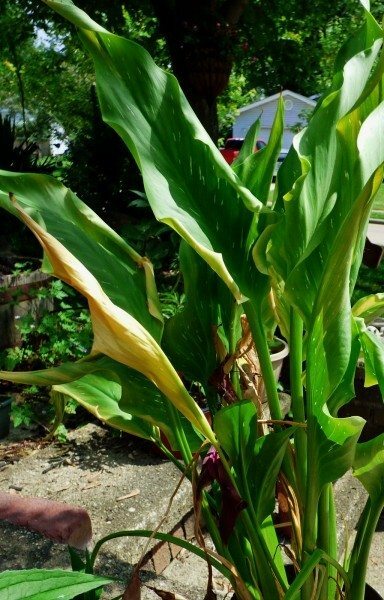 If your biggest plant problem is, “My calla lily leaves are yellowing,” you should look beneath the soil for the answers. 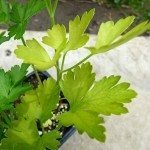 Yellow leaves are a sign of problems in the roots of the plant, for a number of different reasons. Yellowing leaves, known as chlorosis, is sometimes caused by a nutrient shortage in the soil, most often nitrogen, iron, zinc or some other trace element. Either your soil is actually lacking this trace element, or there is something in the roots that is preventing the nutrients from being absorbed. Check with your local extension service about testing your soil. Another common reason for yellowing calla lilies is root rot. Calla lily plants don’t like to have their roots constantly soaked in puddles of water. Too much moisture causes the roots to begin rotting, along with contracting other diseases, and will wither the plant’s leaves. Treating yellow leaves on calla lily plants involves dealing with the actual planting environment. If possible, dig up the plants and transfer them to a spot with well-drained soil, preferably a raised bed. Plant the rhizomes carefully to avoid injury, and never over water the plants once they have been established.